During a rendition of smash hit "Bad and Boujee" onstage at Atlanta's Hot 107.9 Birthday Bash this weekend, the Migos took the opportunity to share a welcome piece of news with the fans in attendance. 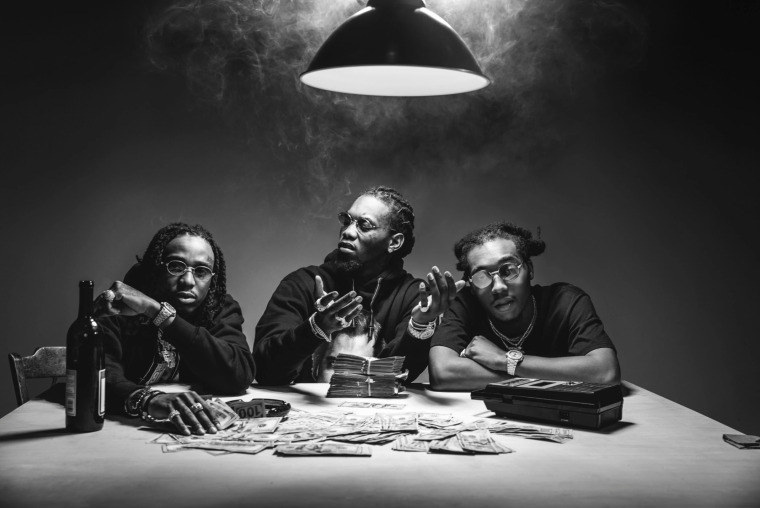 In what appears to be a planned interlude, the trio took turns freestyling over the iconic beat before Quavo began a rhythmic repetition of the word "Culture," the title of their most recent album. After a few beats, he began adding "Two," as in "Culture II," to the mix, before announcing several times that it's "dropping soon." Considering the success of the first Culture, which debuted at Number 1 back in February, it's no surprise the group worked hastily on its follow-up. The news was seemingly confirmed on posters put up around Atlanta bearing the Quality Control logo after the event. While there's no indication of what exactly constitutes "soon," it's worth noting that "Culture" remains on the Billboard 200 at Number 17 after 19 weeks on the chart.